It's starting to get warm, here in Texas. Today it's 81 and sunny. That means it's almost time for the pool water to be warm enough to swim. We don't have a very big pool. It's downright tiny compared to the others in my neighborhood, but I'm more doggy-paddle swimmer than crawl stroke swimmer, so it works for me. Last week I had to get a couple of bags of salt for the pool. My word, it took some oomph to lift the bags in to the back of the car, unload them, and carry them out back. I set the bag down on the patio, and it tipped on its side. That's when I noticed how much each bag weighed. 40 pounds. That's about how much I need to lose. 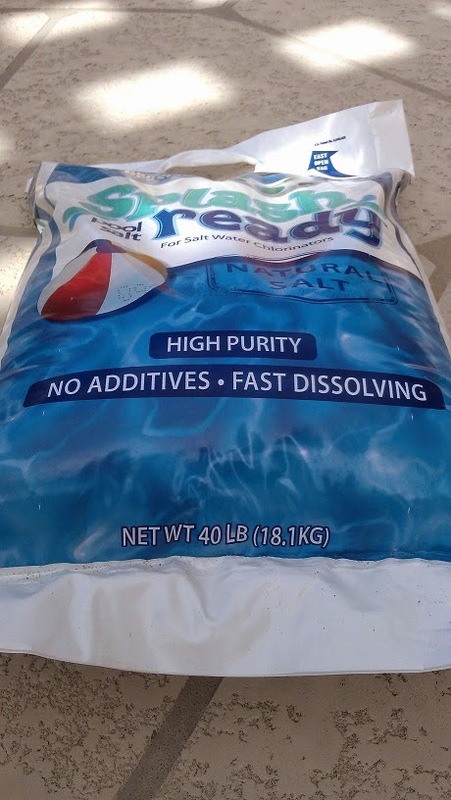 If it's that much of a struggle to carry around a 40 pound bag of pool salt, how much of a struggle is it for my body to carry around that much extra weight? How much strain am I putting on my joints? On my back? On my feet? How much am I risking injury by carrying around this weight? How much better would I feel when I run, if I wasn't carrying around 40 unnecessary pounds? It's given me something serious to think about.